The Al Aweer or Al Awir Used Car Complex is, as the name suggests, a market place for used cars. Not for owners to go and park with a deck chair, umbrella, and "For Sale" sign, but a collection of used car dealers all under one metaphorical roof. There are many different names used, including the Al Awir, Al Awer, Ras Al Khor, or Ras Al Kor Used Car Complex (market, souq, souk). 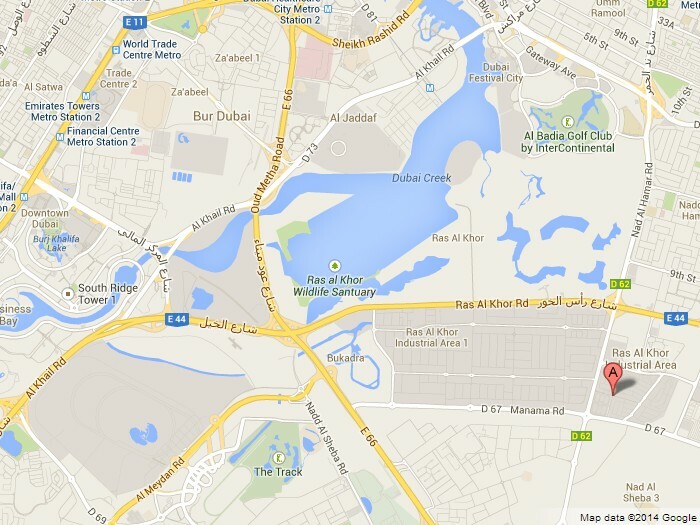 Also Dubai Municipality Used Car Exhibition Center (referred to at bus stops around the area). Find the main road from Dubai to International City out of the Nad Al Sheba area or the Defense Roundabout, and eventually you'll see a signpost pointing to the "Used Car Complex" on the way to Hatta in Oman (if you get to Hatta or Oman, then you've gone too far). It's a little after the old locations for the Dubai Country Club, Darjeeling Dubai Cricket Club grounds, Exiles Dubai Rugby Club (all historical landmarks from 2009 onwards as they have moved to new locations), and where all the car repair mechanics on the right hand side of the Al Awir road used to be (they got shut down in 2009 to make way for part of Meydan City). The main intersection itself is a bit tricky - lots of trucks use it, often causing a bit of a jam around there. The Used Car Market opened in April 2000 with 130 car showrooms (AED 55 million to set it up originally), by mid 2007 a further expansion (worth AED 95 million dhs) brought the total to 200 car showrooms. The Al Aweer Car Market is in the Ras Al Khor Industrial Area which is in the Al Aweer suburb of Dubai - hence both Ras Al Khor car market and Al Aweer car market mean the same place. Correct name is Al Awir Used Car Complex. In April 2006 there was a news report that their website would have an online auction facility but as of January 2009, there don't appear to be any online auctions in operation (website under construction). Weekly car auctions at the Used Car Market are dealt with by Golden Bell Auctions - see below for contact details. The used car dealer showrooms are licensed by the Dubai Municipality which in theory means you have some protection from dodgy cars and dealers but in practice, Caveat Emptor ("let the buyer beware"). If you're not that skeptical, make sure to talk to some friends and colleagues, who have actually bought a car from the Al Aweer Used Car Complex, to get a few opinions. The expression "lambs to the slaughter" is one to contemplate while on your way there. Skepticism aside, the Used Car Market can be a convenient place to shop for a car - everything you need is there. Bank for car loans (Emirates Bank International), auto insurance companies, automobile testing and inspection services, the Police Traffic Department for car registrations, even a car auction facility, and vehicle driving courses (Emirates Driving Institute). There's also a Tasjeel centre to help get your car registered more quickly and easily. One source has 7:30 am to 2:00 pm and 4:30 pm to 11:00 pm Saturday to Wednesday, half day only on Thursday. Another source says 9:00 am to 8:00 pm but many car showrooms close from 1:00 pm to 4:00 pm. Some dealers are open Friday afternoons and evenings from about 1600-2000 or 2200. Since 01 September 2006 the UAE government sector has changed weekends from Thu/Fri to Fri/Sat. This means the registration department at the UCC is probably only open Sundays to Thursdays as it's a government department. Ramadan hours are likely to be something like 0900-1400 or perhaps 1500. Car showrooms should be open again evenings from 1900. Understandably, especially for new residents coming to Dubai, people want a recommendation. With used cars, that's a bit like asking which way to walk through a minefield. Anyway, bearing that in mind, and based on our very subjective stroll around survey one sunny afternoon, Reem Automobile Showroom is one place that seemed a little more interested in customers than many of the other car dealers. Sun City Motors is another automobile dealer you could try. They're still used car dealers though so remember how hard used car salesmen have worked to earn their reputation. The car market website (see external links below) has a handy list of all the dealers there and details of cars for sale, sometimes including prices. Descriptions are all 'good car' or 'very good car' which might sound reassuring ... to some little lambs. Cars for sale on the website may be a little out of date but you'll get some idea of what's available and ballpark figures for prices. Negotiating cheaper prices is not impossible but usually hard work - remember that the dealers do it all day, every day, so they're probably going to be better at it than you. Be uninterested in the car you're interested in. If you're female, bring a male who can say things like camshaft and alternator (and sounds like he knows what they mean), even if you're an auto-mechanic yourself. If you're male, bring an attractive female who's a sharp negotiator to bargain down the price, and to get all the paperwork done quicker if you buy a car. Read the tips on buying a car in Dubai before you go. Al Ahlia General Insurance Brokers, tel +971-4-2694424 - motor vehicle insurance. Emirates Bank Group, tel +971-4-3333245 (Al Aweer) or +971-4-3160316 (main office), emiratesbank.ae. Emirates Driving Institute, tel +971-4-3200989 or +971-4-3201340, head office tel +971-4-2631100, www.edi-uae.com - driving lessons for a car, truck, bus, or heavy machinery. Golden Bell Auctions, tel +971-4-3333647, goldenbellauctions.com. Auctions cars, trucks, buses, motorcycles and probably a lot of other machinery. Their website has details of vehicles being auctioned and next auction date. Tasjeel - tel +971-4-3331510. Car testing and registration services in conjunction with EPPCO and Dubai Police. Vehicle testing services can be used prior to buying a car at auction or directly. UCC website has details of fees and procedures. Traffic Department - vehicle registration (see UCC website for details of fees and procedures). Dubai Al Aweer Car Market discussion - add corrections, information, comments, questions. www.goldenbellauctions.com - car auctions at Al Aweer car market. Not clear if website kept up to date with cars available. www.dubicars.com - all used cars for sale at Dubai car dealers, or most of them, or some of them. www.usedcars.ae - was the website domain for Dubai Municipality (DM) Used Car Complex but shows duplicate of DM main website at www.dm.gov.ae. Limited information found - navigate from Home > Public Markets > Auto Market. No dedicated website found or provided (Jan 2014). www.dubaifaqs.com/al-aweer-used-car-complex-dubai.php (PDF and print version).